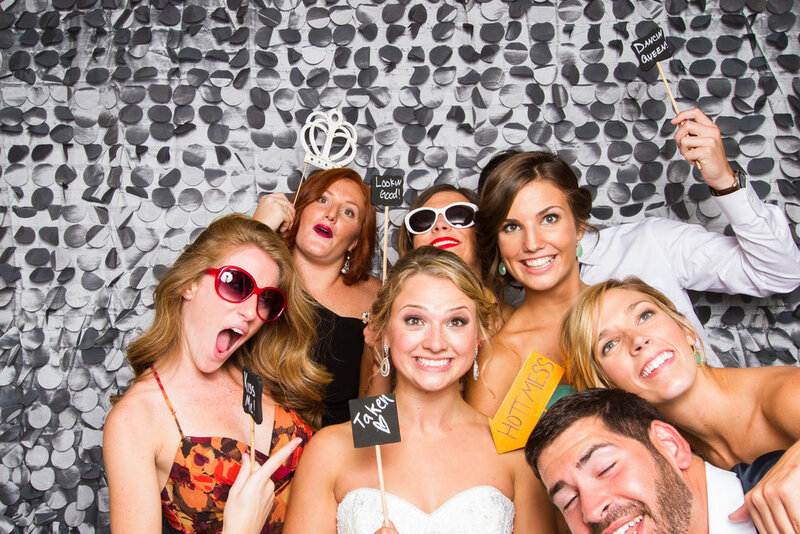 5 photo booth tips for your wedding to make sure your photo booth is awesome! While I make sure to capture plenty of candids and photos of your friends and family, their personalities may not always shine in those images. Having one of my photo booth's at your wedding gives you even more pictures of your guests provides another fun activity. The photo strips are also a great guest book for you and a fun memory favor for your guests. Whether your college best friends are huddled together striking a silly pose or your grandparents are giggling at the props they chose, a photo booth is a great addition to any reception. Put your photo booth in a high traffic area. For example near the bar, or close to the dance floor. It's standard to put out 2 photo strips however many photo booth companies will offer unlimited prints if you ask. Open photo booth will give you the option for a custom background. It is more common than every to had a social media station. This gives your guest the option to E-Mail, Instagram, Facebook, or tweet their photos. Add an idle hour and shut down the booth during the toast and formal dances, so guest won't have any distractions to the events that are going on.